Home » Featured » Caillou Prize Pack Review and Giveaway!!! Caillou Prize Pack Review and Giveaway!!! Are you ready to explore, play, and discover the world through the eyes of tv’s most lovable four year old? It’s time again for another great Caillou review and giveaway here at Chasing Supermom. We were so thrilled with our last set of toys from Cookie Jar Entertainment and the Caillou line of products, and feel so amazingly blessed to be able to yet again get to experience Caillou firsthand. Caillou is the quintessential preschooler….Full of energy, Caillou approaches each day with curiosity and an eagerness to learn. His imagination is larger than life and often takes him on remarkable adventures…Isn’t that what we want for our own children? Don’t we as parents want our young children to activate their minds and bodies and use their imagination and the power of PLAY? When a tv character can come to life for a child and inspire them to transform an ordinary day into an opportunity for play, you’ve stumbled upon something special…and that’s just what Caillou is. I am thrilled to make you aware of some of the other great toys that are inspired by the Caillou television show, that will hopefully spark imaginative play and a slew of adventures for your children. We were lucky enough to receive two great toys to try out (and give to you!) The first toy is a Caillou doll. I love that this doll is a toy that girls and boys alike can love and enjoy. Standing 14.5 inches tall, this lovable friend is just the right size for young children…and perfectly huggable! 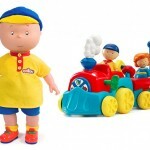 Caillou’s face, hands, and legs are made of washable vinyl (a must for toys for young kids! 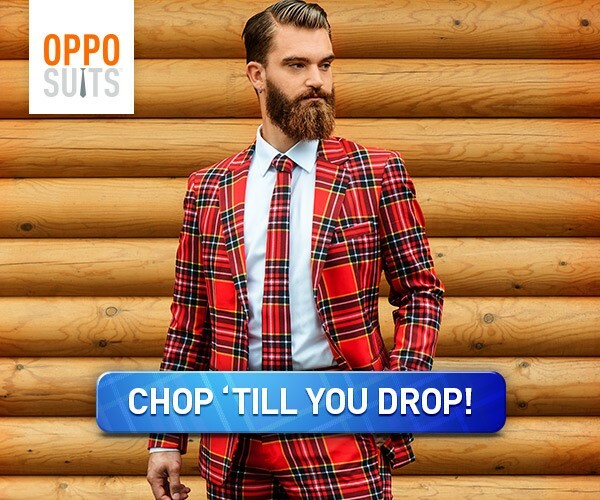 ), and his clothing is removable (so you can wash it too!) I love that kids can invite Caillou into their playrooms through this doll….With this new friend in hand, they are inspired to create games, transform everyday objects into something bigger, and go on wild adventures without ever leaving home. They see this doll, and they see a relatable character….a friend they feel as though they’ve played with before…..They suddenly want to fly a rocket ship, dig up dinosaur bones, and drive a fire truck. This little doll brings to life all of the adventures they’ve seen on the tv show, and inspires them to ACT and PLAY. (LOVE!!) I am a huge fan of toys that stimulate pretend play, and this adorable doll does just that. This doll retails for $29.99, and you can purchase one HERE! 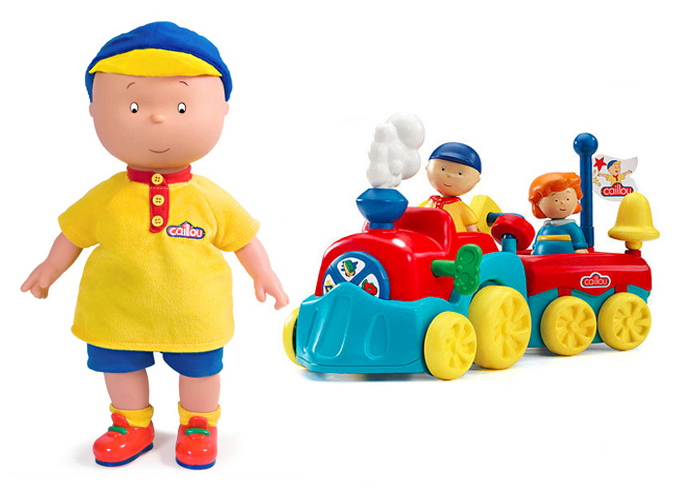 The second toy we were able to preview, was the Caillou Learning Train. My boys (1 and 3) both LOVE trains, so I was really excited to share this toy with them. I was excited to find a toy that was suitable for my youngest child, that still held the interest of his older brother as well. 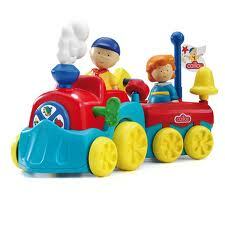 Featuring Caillou and his little sister Rosie, this train will roll through your house delighting young ones. Caillou moves up and down as you roll the train along, and kids will enjoy making all of the sounds the train features. While the train is a bit difficult to work without adult supervision (your child will need help to wind the key that propels it forward, and the train does not work on carpeted flooring), most young children will enjoy this toy. Caillou and Rosie both come apart (so you can “build” them), the wheels move, the train cars separate, and you can even ring the bell. This toy retails for $24.99 and you can purchase one HERE. *Both toys are currently being offered at these lower prices through the official Caillou Facebook page! Normally, they both retail for $34.99. Click HERE to become a fan of Caillou on Facebook!! One lucky reader will win BOTH prizes!! This is a $70 value, and a great giveaway from Cookie Jar Entertainment! My 2 yr old LOVES Caillou. We have to watch him at least once every day before bedtime. She is always making Caillou references! My two year old LOVES Caillou! Its been hard to find Caillou toys in store. She’d have a blast with these toys! Hope we win! I like him because my son can relate to him so well. would love to win this for ” grandma’s house”!! Look like so much fun! Because he’s so realistic & my granddaughter just loves him! I love to watch Caillou with my kids. Its so much fun to watch my little girl swing her hips to the theme song… I still laugh each time I see it! I like it because it is wholesome and a cute show for kids. I like it because its a Great Show for kids. I have a six yr old gurl and 1 yr old son that loves caillou!!! we record it on dvr and watch it all the time 🙂 its great for teaching the kids manners thats for sure. 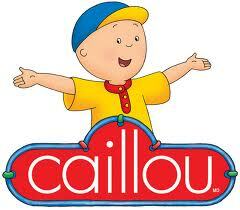 i love caillou to!! we would love to win these toys. one for each of them!! I love Caillou because he sends such a good message to kids. My little grandsons love the show. My kids LOVE Caillou! He’s a very popular young man in our house. Wish there were more Caillou “stuff” around! Love this doll — have been trying to get! I love Caillou because my 3 year old does! I love Caillou because of his curious nature, his great imagination and his great make believe adventures. My daughter absolutely LOVES Caillou! I love it because it teaches good behavior and good imagination! my daughters love him and Rosie! It is a great show that I actually like my kids watching and is educational and not something I have to worry about! Caillou teaches our kids to be nicer people! We love him because he is the right pace for preschoolers and offers good life lessons. I love him because he acts like a real little boy.. he gets mad and frustrated… he also makes mistakes. 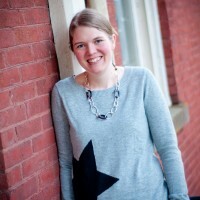 I like Calliou because it provides learning opportunities for my son and I to discuss. My son likes the show because it is entertaining and he learns from it. I like Caillou because it is fun, wholesome entertainment! My grand-daughter loves Caillou. I like it, because it is not overly loud and frenetic like many kid’s shows. I love Caillou because it’s a great show that kids understand and can relate with. I love the show for my 3 year old and the topics are very relateable. He loves Caillou! I’ve heard a ton of parental complaints about Caillou being a whiny kid, but let’s face it – he portrays real kids in situations that they encounter. I love the show for this reason. My sons love Caillou. I like his interaction with his sister. Yes he is a bit whiny, but all kids are. I love Caillou because it is a great program for little boys and I watch it all the time with my little grandson! I like the positive interaction among the characters and it shows love and friendship. Positive role model and good natured character. I like Caillou because he provides good, wholesome entertainment for my children! I love calliou because it this show has taught my daughters so much from being nice to their mommy, doing their choires, and very educational. My daughters watch calliou everyday and i would love to give them a doll of there fav character. We watch him all the time. That’s why I love him. He is very cute and relate-able to my son. My kids do.. he’s funny.